Anyway, what this means for you is if you don’t have an official second form of identification (say, a military ID), you’ll need to get one sometime in the next few months. Your best bet is probably to apply for a passport. Passport fees for first-time adult applicants aren’t cheap. The application fee is a whopping $110. The execution fee (which is a really aggressive way to say “processing fee”) will run you another $25. Renewals aren’t a whole lot cheaper. You save $25 on the execution fee, but the application fee remains the same. The good news is passports last a really long time — 10 years to be exact. That breaks down to a little over $13 a year, not too bad for something that gives you access to most of the planet. 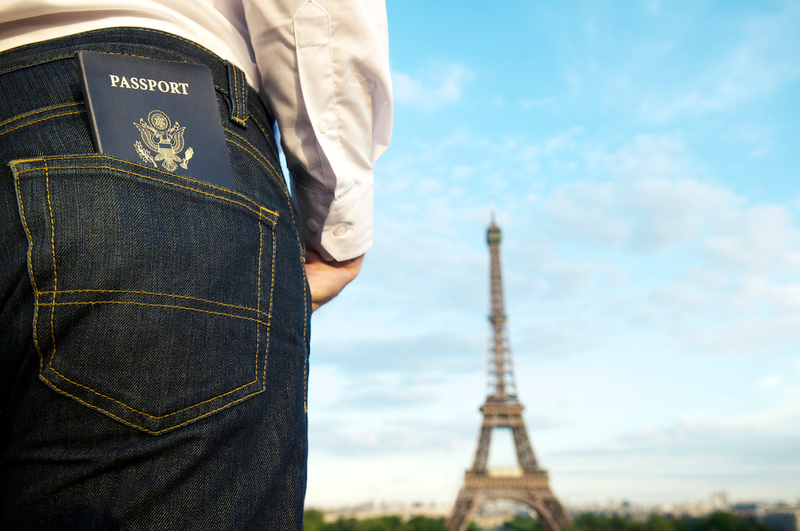 Are You Exempt From Passport Fees? There are very few situations that might exempt you from passport fees. If you fall into one of those categories chances are you’re already aware of it, but just in case, let’s recap. What If You Can’t Afford a Passport? If a passport application or renewal is out of your budget’s reach, you’ve got a few options to explore. 1. Consider a passport card. Unless you’re jet-setting to all corners of the world, you might be able to get by with a passport card instead of a traditional passport book. Cards are just as official as books, but the $30 application fee makes it a much cheaper option. If you travel overseas for work, talk to your employer about paying for your passport and application fees. If the boss says no, keep your receipts — you can at least write off the expense on your taxes. 3. Check into advocacy and civic groups. Thanks to a grassroots movement on Twitter, transgender citizens can ask nonprofit organization Trans Law Help for assistance with paying passport fees. The group has collected thousands of dollars in donations to help transgender citizens defray the cost of updating a passport following a legal name change. Think about what formal or informal groups you’re a part of that you could tap into for help. Churches, cultural communities and veterans organizations in your area may be a resource for help paying your passport fees. 4. See if your college offers scholarships. Some colleges also help with passport fees. Temple University’s scholarship program offers first-year and transfer students up to $135 to help offset the cost of applying for a passport. Be sure to check into whether your college offers a similar program. Lisa McGreevy is a Staff Writer for The Penny Hoarder. She’s also a travel junkie who keeps her passport with her because she never knows when opportunity will strike.